Gerard began in consumer advocacy as a policy officer and solicitor with Consumer Law Centre Victoria, before working as a Senior Policy Officer with Consumer Action. Gerard then worked with the Brotherhood of St Laurence as Senior Manager Financial Inclusion, leading the national rollout of the Saver Plus program. Gerard returned to Consumer Action in 2011 to lead the Centre’s policy and campaigns work. Gerard has represented consumers on a number of bodies, including the Australian Competition and Consumer Commission’s Consumer Consultative Committee, the Australian Securities and Investments Commission’s Consumer Advisory Panel and the Australian Energy Regulator’s Customer Consultative Group. Gerard has a Masters in Public Policy and Management, Bachelor of Laws (Hons) and Bachelor of Arts (Hons) from the University of Melbourne. Jill began working in consumer law in 2005 with the Consumer Credit Legal Service and took a position at Consumer Action when it was established in 2006. 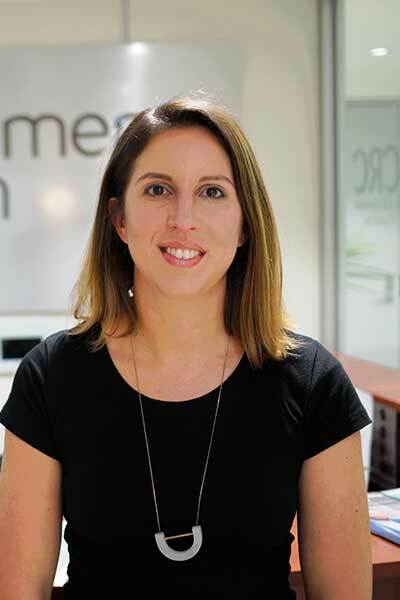 She was promoted to Director of Legal Practice in 2010 and was shortlisted for the Mentor of the Year award in the Law Institute of Victoria’s 2012 Legal Awards for her work in this role. Jill has worked on a number of Consumer Action’s significant cases, including the Walker v Motor Finance Wizard case which concluded in 2011. Jill moved into the Director Service Development and Partnerships role in 2018 with a focus on service improvement and ensuring we reach those who most need our assistance. Jill has also been involved in the community legal sector more broadly through volunteering at Women’s Legal Service since mid-2005 and being on the Sector Development Standing Committee of the Federation of Community Legal Centres. Amanda Storey is the Director of Legal Practice leading our team of lawyers dedicated to making life easier for people experiencing vulnerability and disadvantage. Amanda joined Consumer Action in 2013 and has acted on behalf of people experiencing financial hardship in a variety of jurisdictions and external dispute resolution forums Prior to joining CALC, Amanda worked at Piper Alderman Lawyers in the bankruptcy and insolvency team. She was admitted to practice on 17 November 2009. In 2008, Amanda Storey was an Associate to the Honourable Associate Justice Efthim of the Supreme Court of Victoria. Amanda sits on the Law Council of Australia Consumer Law Commitee and the Law Institute of Victoria Competition and Consumer Law Committee. Amanda Storey was the 2012 President of the Young Lawyers Section of the Law Institute of Victoria where she presided over 7,000 young lawyers.